How was your conference? It was transformative for me, and I would like to share some of the quieter moments with you. Orlando began early for the ALSC Board with a trip down the Yellow Brick Road looking into the future of our organization and searching for our Emerald City, where dreams come true. President Andrew Medlar as the Wizard of OZ welcomed us to the Land of OZ and Executive Director Aimee Strittmatter as Glinda the Good Witch provided magical support as the current and in-coming Board members gathered for a full-day meeting on Friday to start our strategic planning process. By examining the strengths and assets of the Association for Library Service to Children (ALSC), then analyzing the opportunities in the external world around children’s librarianship, we were able to match them as we envisioned a vivid future for our association. Many thanks to Kathryn Deiss, our Organizational and Leadership Consultant, who was and still is our Dorothy, helping us see the future and avoid the poppy fields of indecision and uncertainty. Supporting roles were also well played by Jenna Nemec-Loise as Toto, Ellen Riordan as the Scarecrow, Diane Foote as the Courageous Lion, and yours truly as the Tin Man. 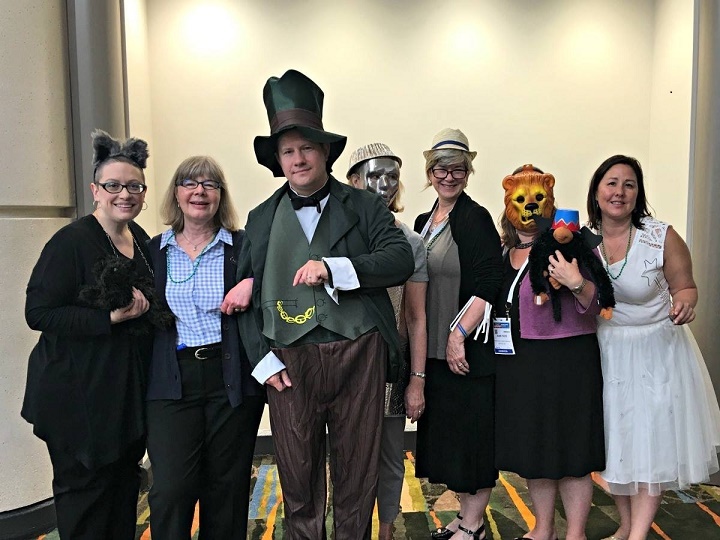 The 2015-2016 ALSC Executive Committee members were great sports to dress-up and share their passionate, yet playful commitment to guiding our association’s path forward. We do want to hear your voices too. An ALSC Community Forum will be scheduled later this month, and we also plan to host a second Community Forum on this topic in the fall. Kathryn Deiss, our able consultant, will again be present to guide us in our future forecasting in both online sessions. Look for the announcement of the July Community Forum coming soon. Thank you to all the members who spoke to me about volunteering for ALSC committees, for asking how you can participate, for sharing your passion for our association and the work we do together, and for your many well wishes. I began the Orlando conference as your Vice President/ President-Elect 2015-2016 and I left as your ALSC President for 2016-2017. My apprenticeship is over, the transformation is complete, and so we begin together! Former Children’s Librarian and Public Library Administrator, and current ALSC President, Elizabeth “Betsy” Orsburn now has her dream job – teaching Children’s Literature at her alma mater, Drexel University. 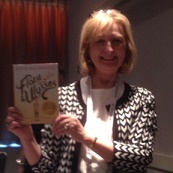 Her two biggest accomplishments are successfully chairing the 2014 Newbery Committee and parenting a daughter into an amazing adult.